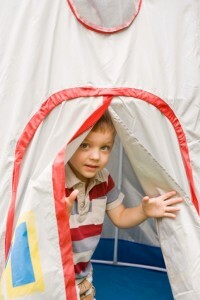 Are you a parent who is trying to create a sensory environment for your child? Are you a parent who is trying to create a sensory environment for your child? In order to learn about the world, a child needs to utilize their senses on an ongoing basis. By creating sensory environments for your child, you are helping to assist their brain development. This will help them as they move towards their teen years. So how exactly can you create sensory environments for a child? Children have incredible imaginations. Since their minds are not yet flooded with preconceived notions about reality, most children are imaginative at a young age. In many cases, it is in your best interest as a parent to encourage your child to use their creativity. A great way to do this by providing them with sensory-friendly toys such as play dough or legos. When your child plays with toys, they are not only developing their senses through touch; they are also using their imagination when they are crafting things. It is also important to allow a child time to explore. In order for a child to learn about different environments, you sometimes need to let them roam on their own or with their peers. For example, a trip to your local park can be a great way for your child to learn about nature by utilizing their senses. It is important that children start developing social skills at a young age. A great way for a child to learn is by participating in a clubs, teams, and other playgroups. This serves as an excellent way for a child to develop this senses through play. As a child uses their imagination, they are learning about the world, which improves cognitive function. It is important to allow your child to have free play time so they can use their imagination to learn by having fun. This entry was posted on Friday, May 11th, 2018	at 10:37 am	. You can follow any responses to this entry through the RSS 2.0 feed. Both comments and pings are currently closed.